Being a host family is a rewarding experience. Generally, it is the responsibility of the host family to make the visiting delegate welcome in their home. Activities are planned for most days of the delegates' two-week stay, the exception being the intervening weekend. Although the host family is not required to accompany their guest on all events, it is likely that the event organizers will look for help with driving. Communication between host families and delegates is a challenge easily overcome. Usually the delegation includes one or more delegate who is fluent in English. This kind person serves as interpreter during the visit, and is available by phone with requests for translation. Although we Americans often speak little or no Japanese, many Japanese can understand some English. This is especially true of delegates and even more so for the students who have taken English in school for years. However, much of the learned English is written, rather than spoken, and your delegate may feel more comfortable using what English they know by writing a note. Smart phone translator ap such as Google Translate. Note that translators and translator aps have difficulty translating between English and Japanese, possibly due to the difference in sentence structure. Short phrases are easier for the aps to translate than longer phrases, but even with our best efforts, nonsensical translations occur. For instance, during a recent visit, the Japanese host said "Mike and Monica will strike the bell" in Japanese into the translator. The translation read by the guests was "Microphone and monitor will hit the money". Therefore, establish with your guests the word for "nonsense", thus communicating that the translation ap or appliance was not successful. Note also that Google Translate available on your computer is a MUCH better translator than the phone ap (as of April 2016). It is essential to reverse-translate when using your phone ap to ensure that what your guests see is understandable. Recently, one of our members placed water bottles and snacks in the guests' room for their use. However, the host did not tell the guests that these items were for the guests' use, and the items were found untouched after the guests departed. Yes, we understand that communication between Japanese people involves more implication and subtlety than we brash Americans use, but inter-cultural communication must be more explicit. So if you are offering something to your guests, do so in a clear, unequivocal (though) friendly way. Perhaps the easiest for us is to indicate the items, perhaps with palms up in a "giving" gesture, and saying "douzo, douzo." This is the Japanese equivalent of "Please feel free to take this." An important part of Japanese politeness is avoiding the implied "criticism" that comes with indicating lack-of-preference for an item, such as a particular food dish. As good hosts, we want our guests to be happy and comfortable, and so want to know what our guests like and dislike. However, our guests may not say what they don't like because this is an implied criticism of the host. Japanese use cultural cues that allow for such preferences to be known politely, but these cues are (for us) subtle at best. So in spite of our best efforts (sometimes because of our best efforts!) we may offer our Japanese visitors something which they do not like, and they may find it difficult to express this in an effort not to offend. As good hosts, we hope that our guests will express their preferences, but we cannot insist. This is perhaps more an issue for adult delegates than for the students. One way to avoid this difficulty is to offer two or more options, allow the guest to choose, thus avoiding the need for the guest to refuse something offered by the host. As a good host, you will want to feed your visiting delegate so that they are ready for a busy day. Expect your delegate to be thoroughly jet-lagged on arrival and stimulus-overloaded for much of the visit. They will be tired, and they will be hungry. The Japanese breakfast is usually a substantial one. 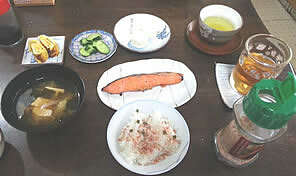 Pictured at right is a typical breakfast as served to a delegate to Chichibu in the visit of 2015 (after requesting a "standard Japanese breakfast"). It includes salmon, miso soup, cucumber, egg omelet, rice with shrimp flakes, green tea, and chilled barley tea. Note there are two sources of protein. Certainly, we would not expect our host families to prepare this breakfast, but rice and barley tea can be easily prepared. Ask your visitor what they might like, offering options rather than yes-or-no on a particular item, allowing them to express their preference without giving offense. During the visit of 2015, after a week and exciting Japanese food, the delegates staying with the Sakamoto family were most pleased to find bread, butter and jam on the breakfast table - something familiar. For this reason is is a good idea to have short-grained rice (sticky rice), chopsticks (inexpensive wooden or bamboo type are fine), and barley tea on hand. Barley tea is a staple drink, understood to have many healthful benefits. Barley tea bags can be ordered on-line. In the visit of 2010, many student delegates preferred one egg every morning. They declined two eggs, not because of the cost (eggs are not expensive in Japan) but because one egg is understood to be sufficient for one day. Even so, your visitor may prefer eggs, tortillas, beans and coffee. Some food items are readily available in California that are not in Japan, where much food is imported. Fresh fruit is always appreciated. Note that in Japan, fruit is eaten with a fork. Our bathroom/toilets are primitive compared to those in Japan, the most prominent aspect of which is the combining of the toilet area with the bathing area. The bathrooms/shower rooms in Japan are often in a separate tiled room with a drain in the center, rather than a shower stall separated from the rest of the room by a glass or curtain partition (see bathrooms). Stories are told in which a guest from Japan mistakes the heating vent in the bathroom floor for the water drain, and bathes in the middle of the bathroom. Make sure you visitor understands how our facilities function. Japanese are not shy when discussing bathroom habits. Demonstrate to your guests the use of the shower, how to adjust the temperature, ventilation fan, additional toilet paper, where your guests might store their personal items, and any other features of your restroom. Bathtubs in Japan are for soaking, not for bathing, so it is unlikely that your guest will use the bathtub to wash. However, the configuration of Japanese soak tub in the shower room allows water to overflow the tub into the drain in the center of the shower room as one enters the tub. It might be useful to let your guest know that our bathrooms aren't designed for this. The Japanese word for "water" is "mizu", for "bad is "warui", for "good" is "ee". This may be useful in explaining where water is bad, where it is good. 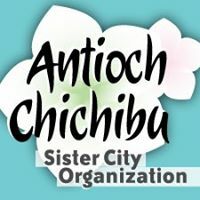 Delegates from Chichibu will probably bring a thank-you-for-having-me-as-a-guest gift upon arriving. 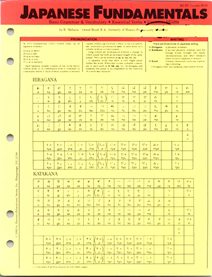 Receive such gifts with both hands and open them without ripping the paper. Inspect the gift, and express your appreciation. Hosts are NOT expected to give a return gift. Your gift is the offer of your household to your visitor, a gift which your visitor is "unable to repay" but offers a token gift in return. 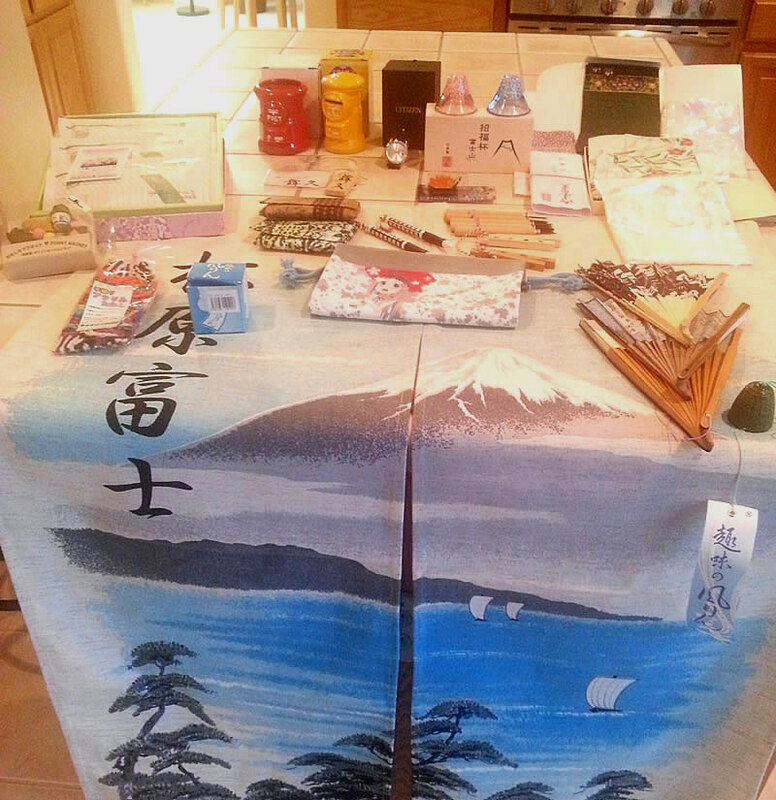 That said, the delegation to Chichibu in July 2015 returned fairly weighted down with MANY gifts (picture at right).